Need quick cash to deal with the financial emergencies in British Columbia? Do you have bad credit or no credit? No problem at all, we accept all credit types! 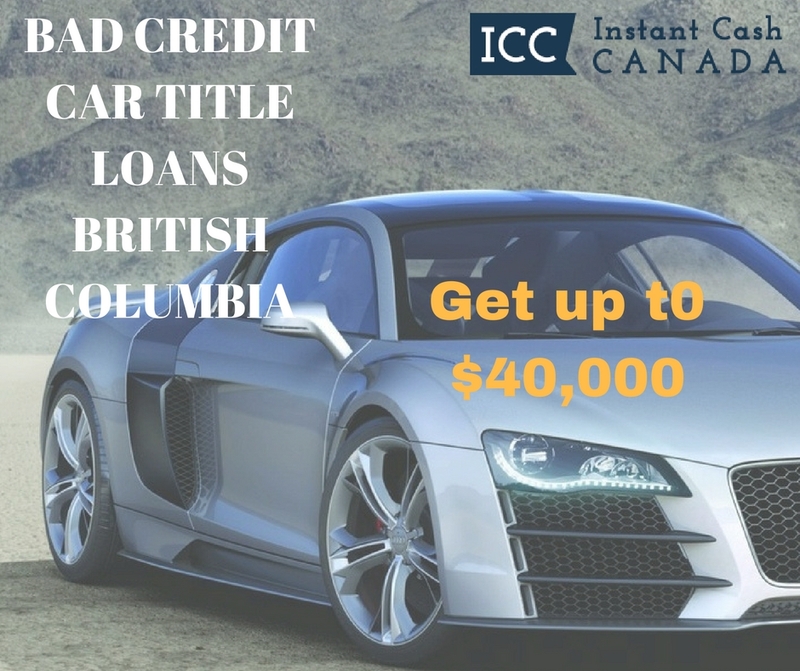 Contact Instant Cash Canada and apply for a bad credit car loan in British Columbia for instant financial assistance. There is no credit check or job verification required to get approved for the Bad Credit Car Loans British Columbia. The borrower simply has a vehicle with a clear title which acts as loan collateral. Why Choose Instant Cash Canada For Bad Credit Car Loans British Columbia? An expert team of loan representatives to assist you. What Is The Eligibility Criteria For Bad Credit Car Title Loans British Columbia? How To Get Approved For Bad Credit Car Title Loans British Columbia? Step 1. Call Us or Apply Online Bad Credit Car Loans British Columbia. Contact Us (toll-free) 1-866-840-7395 For More Details About Car Title Loans And Bad Credit Car Loans!